With American Craft Beer Week taking place this week, we couldn’t think of a person more perfect to chat with about the subject than “Dr.” Bill Sysak. 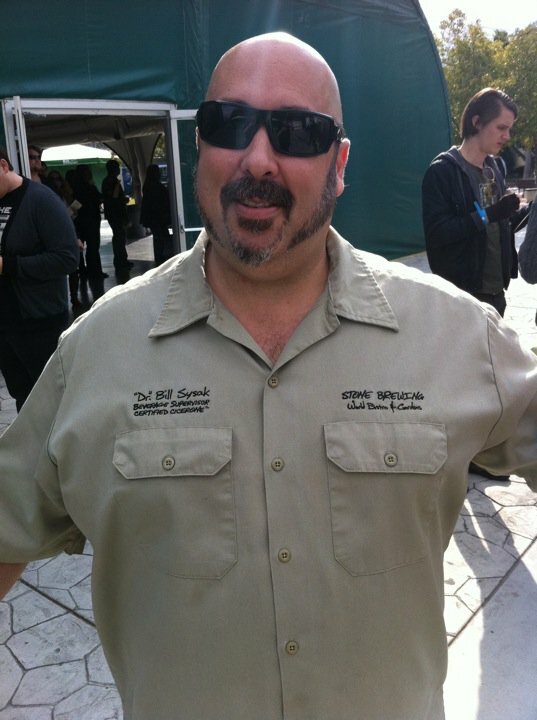 Dr. Bill is a Certified Cicerone® and holds the position of Craft Beer Ambassador at Stone Brewing World Bistro and Gardens in Escondido, California. Thanks for taking time out of your busy schedule to answer some questions for us today. Total Wine: A beer doctor? That is extremely awesome. Most fans know the nickname comes from your time as a military medic and your professional experience working in hospitals. However, we believe you have earned the title just for what you’ve done within the craft beer movement. Could you highlight the top few achievements that you are most proud of in your craft beer career? Dr. Bill: I could list the number of breweries I’ve been to or the amount of times I’ve visited Belgium or any number of stats, but those kind of things are not what I’m the most proud of. One thing that is close to my heart is that it has been over 35 years since I had my first craft beer. I guess you could say I grew up with the American Craft Beer movement. I was 15 in 1977 and great beer has been a passion of mine ever since. Being there since the beginning has allowed me to make 1,000’s of friends in the industry over the last 3+ decades. I’ve had amazing mentors; my father, Michael Jackson, Pierre Celis, Don Younger who through their words and actions helped shape my view of beer. Total Wine: Admiration and jealousy. We admire how generous you always are with your time and collection of beers. Jealousy? 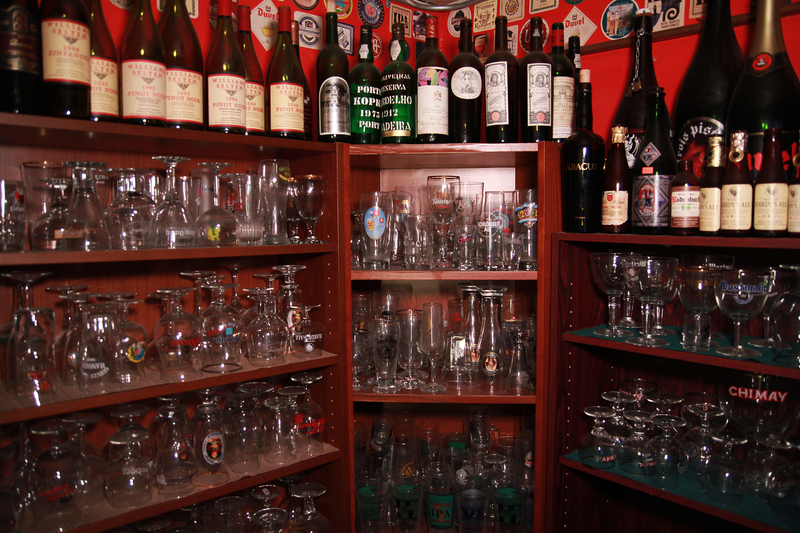 We just mentioned your collection of beers. We just checked out a 2004 interview you did on RateBeer where you said you had 1400-1600 bottles in your cellar. Can we have an update? What are your top five prized possessions and what is the plan for them? Dr. Bill: Well as you said I’m all about sharing so a large portion of my cellar is constantly rotating, I currently have about 2,400-2,500 bottles in two locations, which I will not be disclosing at this time, ;). Let’s see if I can come up with 5 that stick out more than the others. Belle-Vue Selection Lambic from 1999, De Dolle Stille Nacht Reserva 2000, Thomas Hardy’s Ale 1968 (first bottling), Hurlimann Samichlaus 1980 (first bottling), Eylenbosch Kriek 1989. No set plans to try any of the bottles, except for the 1968 Thomas Hardy’s. I did a complete vertical tasting of all the bottling’s in 2004 and I think I would like to do it again. Total Wine: Your Master Pairings food and beer series with Chef Alex Carballo at Stone Brewing World Bistro and Gardens seems to be one of the premier beer dinner events around. Can you describe the goal of the series? Who is the average guest and what can they expect? Dr. Bill: The goal is to enlighten people to the fact that craft beer is the most versatile of all beverages when it comes to pairing with food. We have regulars, out of towners, beer geeks, and foodies. If you come to one of my dinners, expect the unexpected. With over 3 decades of beer and food pairings under my belt you can expect some eye opening pairings. Chef Alex’s food is always amazing and all his team’s creations for these dinners are unique and not found on our regular menus at Stone Brewing World Bistro & Gardens. Whether it is Beer and For the Love of Pork, Beer and Breakfast, or Beer and Sushi to name a few, don’t expect the kind of pairings you’ve seen before. There are numerous good books out there on pairing Stout with Chocolate for example but I want people to say why is he pairing Stone Ruination IPA w/ Carrot Cake, then they try it and have that Oh wow moment! I will take all the preconceived notions of pairings and throw them out whether it’s pairing a 12% beer with the salad course and finishing with a 3% beer with the dessert, or pairing an Imperial Stout w/ an arugula, pear, & prosciutto pizza. Total Wine: Those beer dinner pairings seem to be developed for widespread appeal, something everyone will enjoy at your restaurant (and they sound spectacular). We’d like to hear about some extraordinary beer pairings that you’ve done. Could you tell us the most extreme dish you’ve ever had to pair a beer with? And then the most extreme beer you paired with food? What were the combos? Dr. Bill: Wow, I’m having to think about that a minute. Ok, Balut (look it up) prepared in garlic and vinegar paired with a Port Brewing Hot Rocks Lager, excellent pairing, but I don’t think I need to try Balut again. Also How about Rocky Mountain Oysters pan fried paired with Stone Smoked Porter. I would definitely have this pairing again. As far as extreme beer; Westvleteren 12 paired with bacon wrapped dates stuffed w/ gorgonzola dolce. Stay tuned for a very fun second half of this interview, coming soon.